Combining good taste and audacity is a subtle art that interior designer Jacques Grange has perfected for over four decades. As a young man working for design legends Henri Samuel and then Didier Aaron, his talent was soon recognized by the likes of the Rothschilds, Madeleine Castaing, and the Vicomtesse de Noailles. 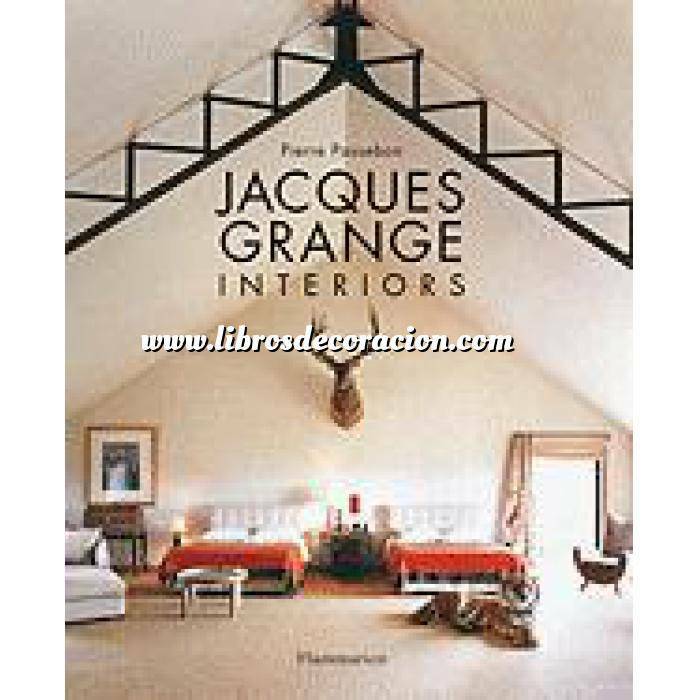 Unlike many of his contemporaries, Grange is known for being able to disappear behind his designs; he believes an interior décor should serve as a "self-portrait" of the occupant and not the designer. Combining good taste and audacity is a subtle art that interior designer Jacques Grange has perfected for over four decades. As a young man working for design legends Henri Samuel and then Didier Aaron, his talent was soon recognized by the likes of the Rothschilds, Madeleine Castaing, and the Vicomtesse de Noailles. Unlike many of his contemporaries, Grange is known for being able to disappear behind his designs; he believes an interior décor should serve as a "self-portrait" of the occupant and not the designer. His prestigious commissions in New York, Paris, London, Venice, and Marrakech blend Oriental and North African influences with Western styles, from rococo opulence to modern chic. But, remarkably, Grange is not afraid to strip everything away, and to make space itself the main focus of a room. Always balancing virtuoso flourishes with tasteful understatement, Grange’s touch is unique.